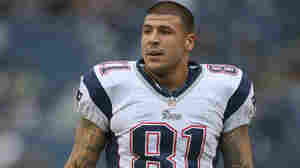 June 26, 2013  State and local police arrested Aaron Hernandez, 23, at his North Attleboro, Mass., home Wednesday. He was arraigned in Attleboro District Court on charges of first-degree murder and five gun-related crimes. 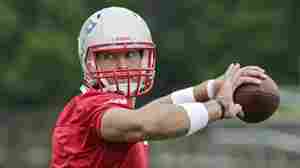 Can The Patriots Groom Tebow To Be A Good NFL Quarterback? 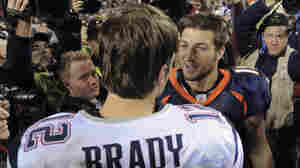 June 12, 2013  Tim Tebow, the much-maligned signal-caller, finally will have a chance to learn behind one of the league's best quarterbacks, future Hall-of-Famer Tom Brady. 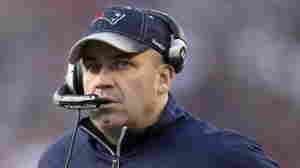 And Tebow offers the Patriots the prospect of using a style of offense that is gaining popularity in the NFL. Is New England The Right Fit For Tim Tebow? June 11, 2013  He led the Denver Broncos to the playoffs two seasons ago, then sat on the bench last year with the New York Jets. 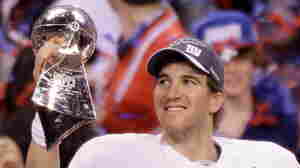 Now he's set to back up superstar quarterback Tom Brady. Might that be just the right job for Tebow?